Bloomington is home to over 77,000 residents and is adjacent to Normal, Illinois. The two cities are often referenced together as the “Twin Cities”. This means that there are effective advertising opportunities to capture customers in both cities. Utilize attractions like Grady’s Family Fun Park and the Pepsi Ice Center. Target your audience with outdoor billboards or other outdoor advertising during one of the many festivals in Bloomington such as the Illinois Shakespeare Festival or the Spring Bloom Arts Festival. The major highways that service the city also provide billboard possibilities. 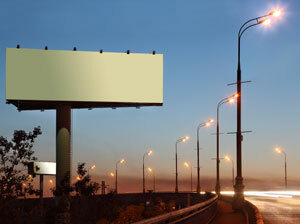 Billboards on I-39, I-55, or I-74 would generate high traffic exposure of your business.